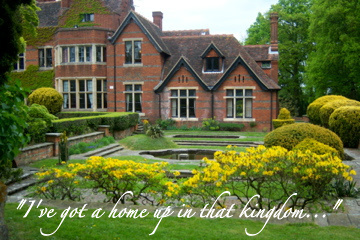 I’ve got a home up in that kingdom, yeah, yeah! The first time I heard that song was at a convocation service as a kid. “Go into all the world and preach the good news to all creation. Whoever believes and is baptized will be saved, but whoever does not believe will be condemned.” Mark 16:15, 16. Jesus commissioned His 11 friends to take the good news to the entire world. What is the good news? Quite simply, it’s the cross. But more than just the cross, it’s the news of what Jesus did on the cross, the news that a Savior was born, lived, died, and rose again. It’s the story of everything it took (and will take) to reunite us with God, from Genesis right down to Revelation. It’s the news that we have a home in His kingdom. It’s hope. The gospel, the good news, is for all of us. It is applicable no matter what your station in life, no matter what your story or where you come from. It has power. The power is Jesus. He is love. He takes you, wherever you are, whatever you’re like and He transforms your life. The gospel is new life in Jesus. The gospel according to Mark 16 requires two things of us: believe and be baptized. You may have heard the idea that all you need to do is believe and you’re set; no change of life is necessary. Jesus knows we’re sinners, so just believe, do what you want, and ask forgiveness. This idea mixes a truth with a lie. Jesus does accept us as we are. But He doesn’t leave us as we are. He knows we have no power to change ourselves. So He changes us. 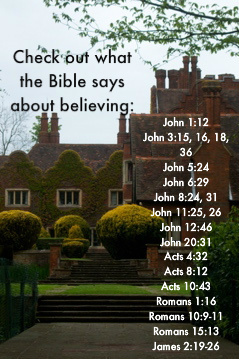 When Jesus asks us to believe, He’s asking us to accept all that has been revealed about Him in His word. This belief is not a weak, empty, thing. We believe He is who He said He is, and that we can trust His compassionate leading in our lives. He transforms us through our faith in Him. Not by forcing us to now do the right things. Instead, He gets to the root of our issues: He deals with our hearts. He deals with our desires and feelings, and helps us see the world and our daily situations as they really are. He shows us His way, and asks us to trust Him. And most importantly, He grants us the freedom to choose to follow His way or our own. The second thing the gospel requires of us is baptism. What is baptism? Read through Romans (especially chapter 6) and you’ll quickly find that it symbolizes death and resurrection in the Water of life. You go down into the water (Jesus is the water of life), and you’re buried. The old you dies to sin, just as Jesus died on the cross for our sins. Then you are raised up out of the water. The new you is raised to life, inhabiting the same body as the old. But this you is alive to Christ. In other words, when opportunity for sin arises, the new you is no longer a slave to those sins. Instead, your first thought is to your Savior, because you’re alive to Him now. Obviously, this doesn’t mean that after baptism, no one ever sins again. The baptism ceremony is symbolic of what God is doing in your life. He’s bringing you to the place where those temptations you struggled with before are no longer enslaving you. You may as well be dead where they are concerned, because they just don’t have power over you the way they used to. Whereas before, you would have mindlessly followed them without any struggle, it now requires a conscious thought process and choice to give in to them. Because you are alive to Christ, you think of His desires, His will, His way first, not your own. But don’t miss a key point in this symbol: immersion in water. Jesus is the water of life. The death of the old me, and the resurrection of the new me only happens when I’m immersed in the Water of life. For someone like me, this is exciting news! I was baptized when I was ten years old. I made the choice that I wanted to follow my Savior with my whole life, and I was baptized. That was a long time ago. I don’t have to tell you that a lot has happened in my life since then, and unfortunately, I haven’t always lived up to my commitment to Jesus. But there’s still hope. It’s not a three-strikes-you’re-out thing with Jesus. I can still turn back to Him and start over. Spiritually, baptism is a daily occurrence. As I daily immerse myself in Jesus through spending time in His word and talking to Him, the old me dies when it would rear its ugly head, and the new me lives to honor the One I love. This is all the gospel requires of us: to believe it and to be transformed by immersion in the One it speaks of, until the old person is dead and the new person is raised up in Christ. That’s all. Yet it encompasses everything. This is what Jesus came to give us. This is His message for the world. Now ain’t that good news!